The Group is supported by a wide range of suppliers and contractors. Internal policies are implemented in close collaboration with the business partners. Through regular dialogue and cooperation, the Group and its partners are able to deliver sustainable value to all our stakeholders. The Group addresses supply chain challenges through risk management, responsible sourcing, supplier engagement and oversight. Purchasing policy and business partner evaluation policy, as well as various procedures, provide direction and guidelines on evaluation and engagement when dealing with major business partners. This encompasses working relationships with suppliers of goods and services to ensure business is being conducted only with legally, financially and technically-sound entities. The Group adheres to international best practices and conducts fair and unbiased tender processes in dealings with vendors. 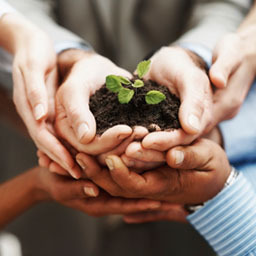 When selecting suppliers, the Group takes factors into account such as quality of products and services, past performance, financial standing, capacity assessment and reputation including track records in handling social and environmental matters. The Group expects suppliers to observe the same environmental, social, health and safety and governance considerations when carrying out their own operating practices. Procurement teams are trained to apply these policies and procedures when assessing suppliers, while tendering procedures are always communicated carefully to vendors. The Group also provides stakeholders, including vendors, with procedures such that they can report any suspected impropriety.